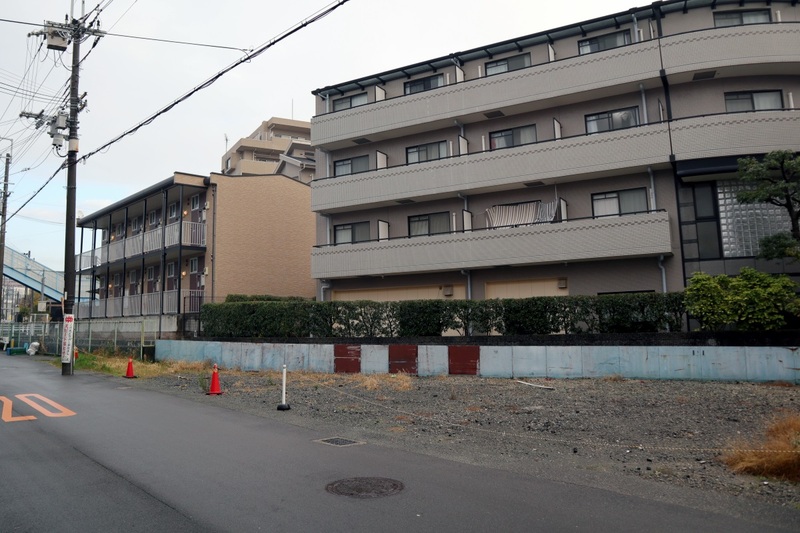 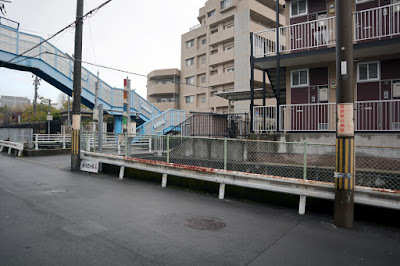 The location of Tomoya's apartment building from Clannad After Story is also in Osaka, close to Senriyama Station, so I went and had a look. 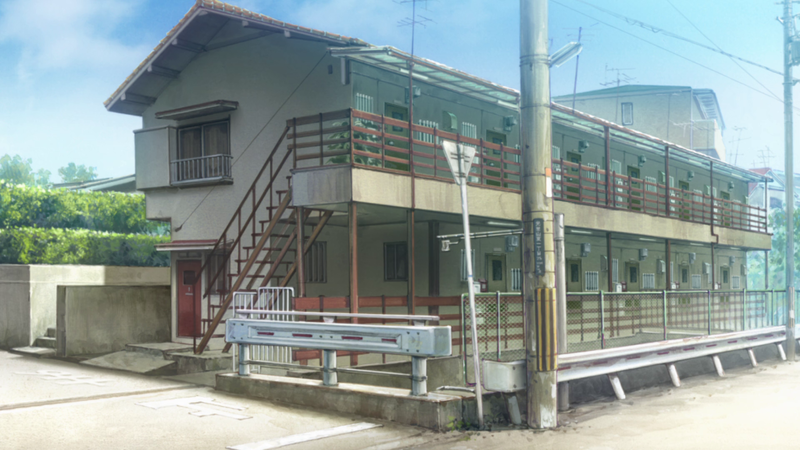 The building here is different in real life. A lot of the other buildings around it still matches though. 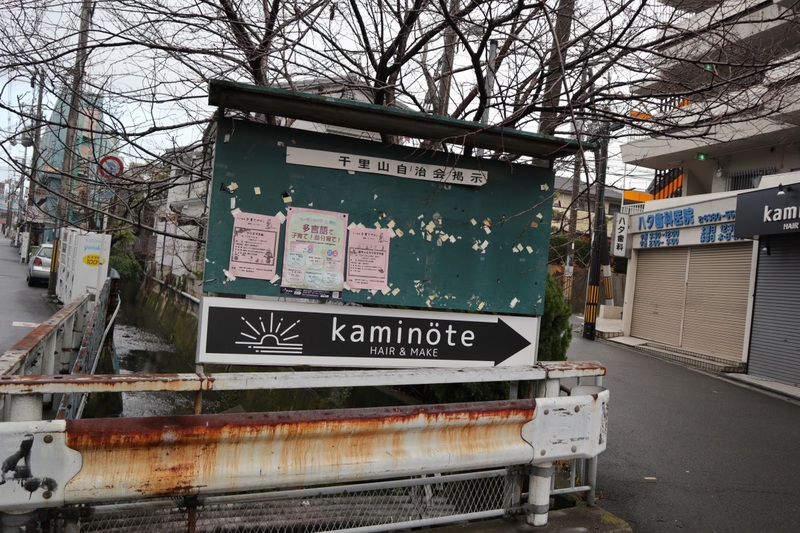 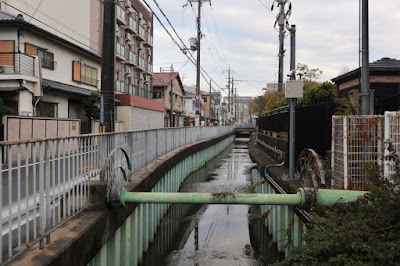 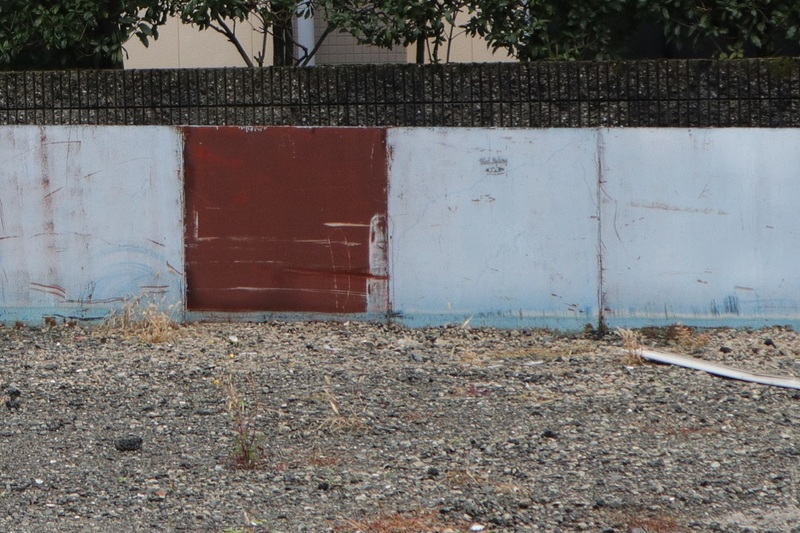 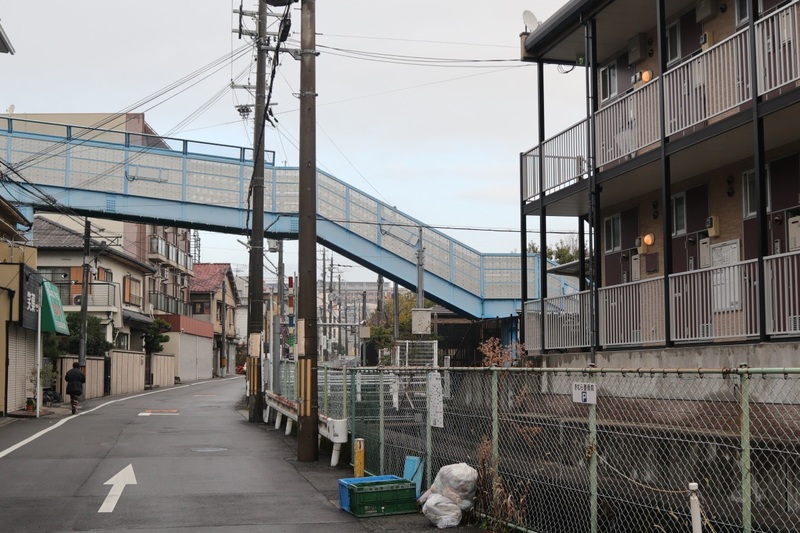 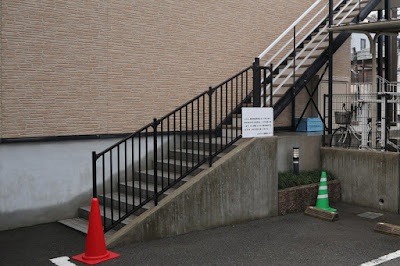 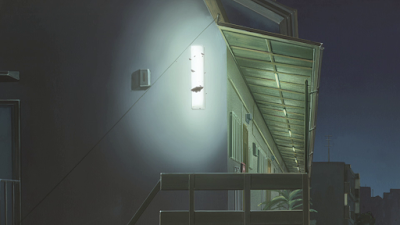 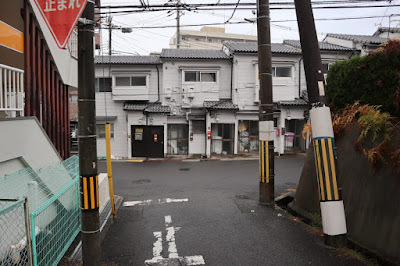 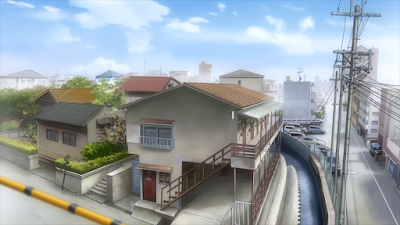 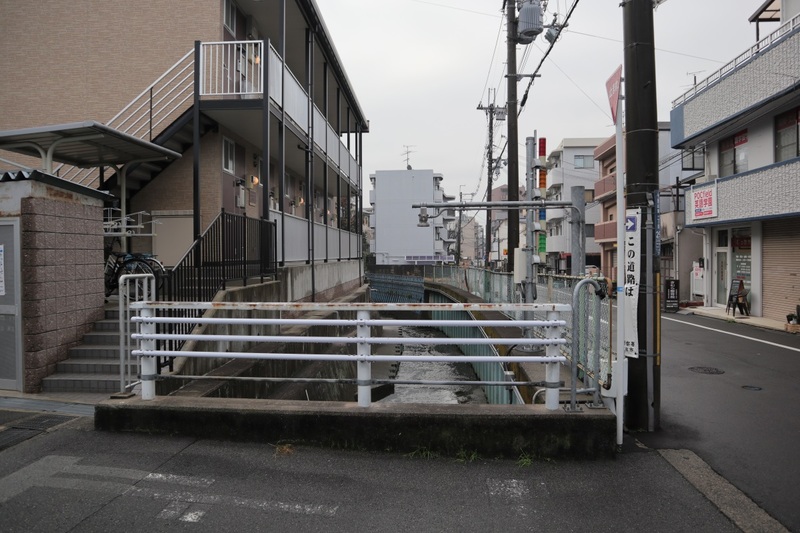 This small bridge on the side of the apartment building was on the cover of the sixth DVD volume of the anime in Japan. 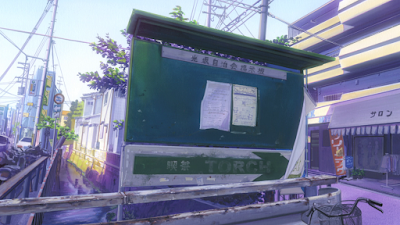 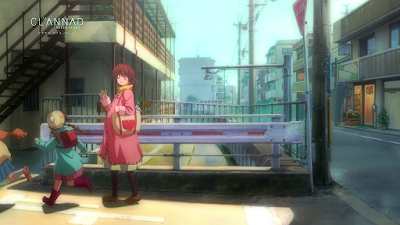 The same image was also used as the menu image of the third Blu-Ray. In the opposite direction there's this place that was shown in the ED. 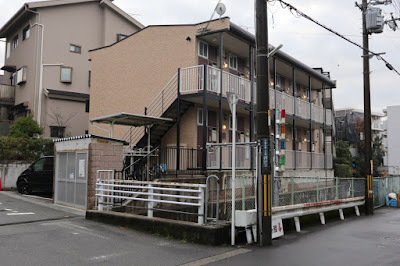 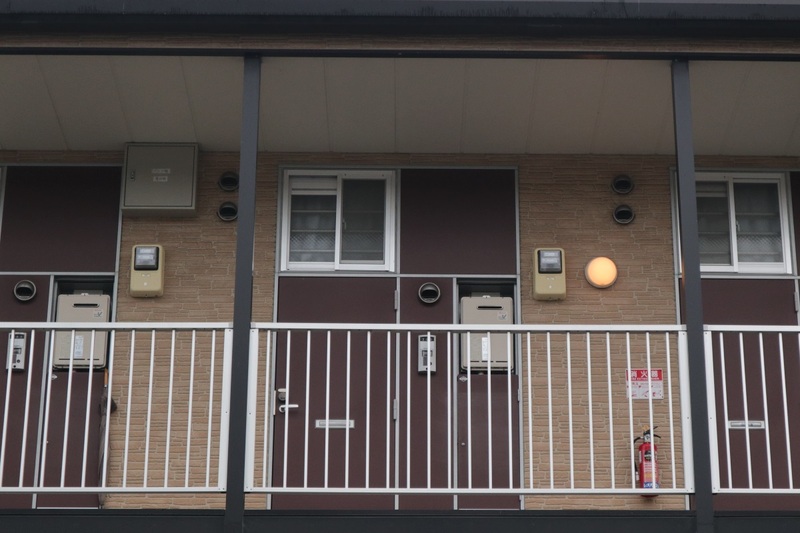 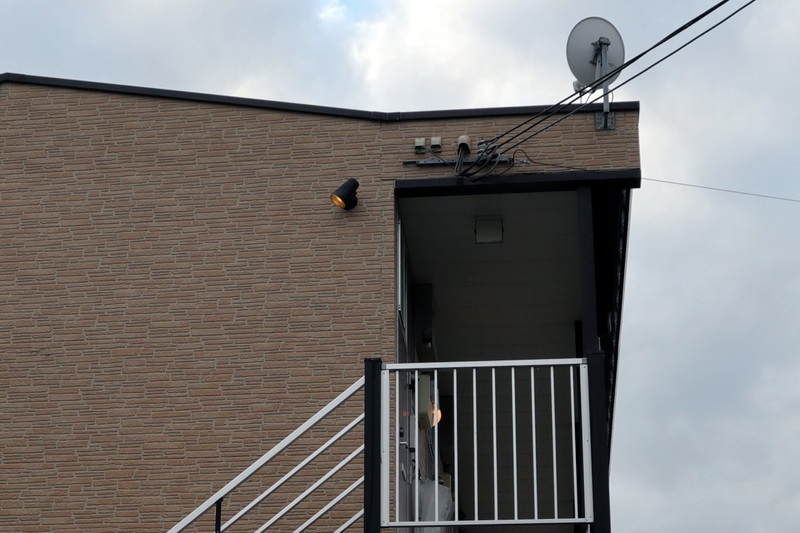 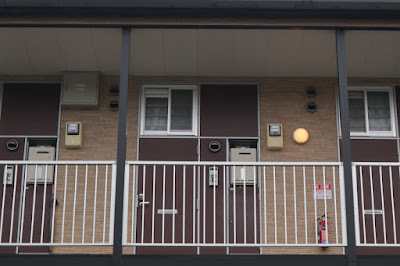 Tomoya's apartment was on the second floor. Second floor side of the building. 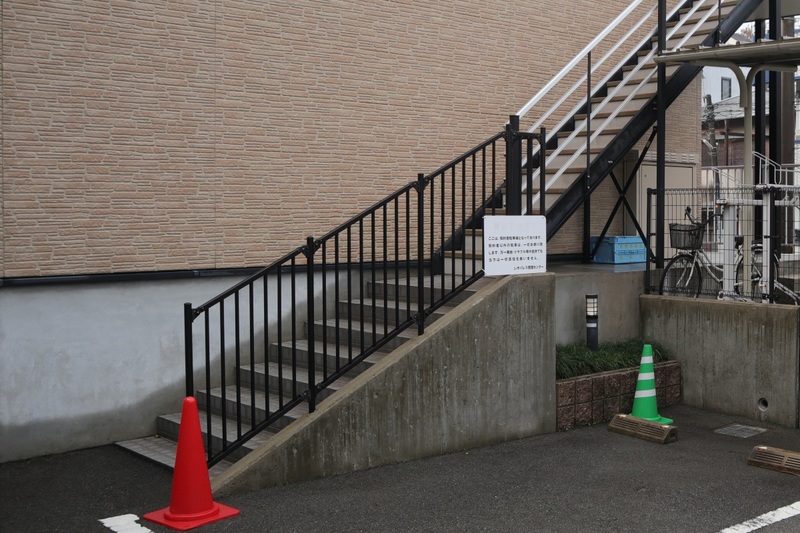 The stairs here are different. 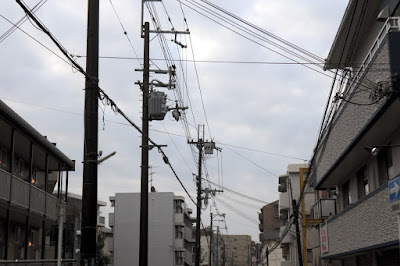 The utility poles in front of the building seems to be the same though. Tomoya running in front of the building. 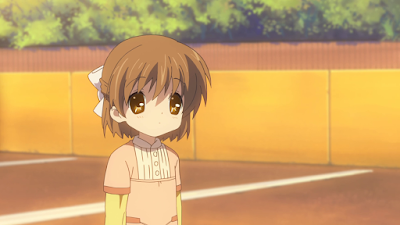 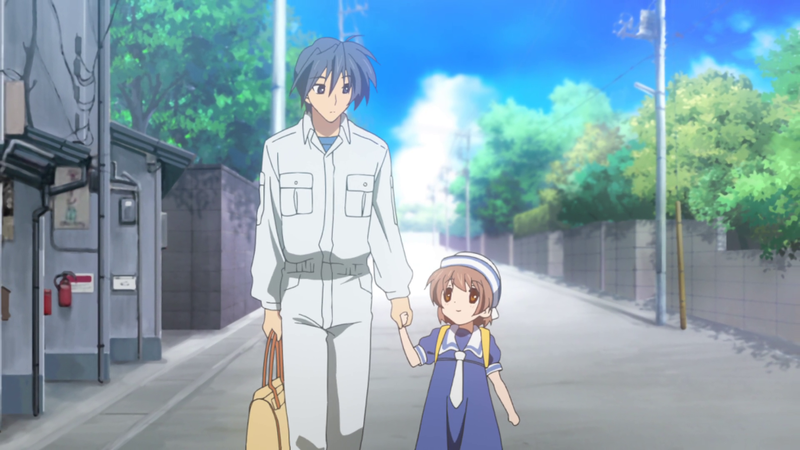 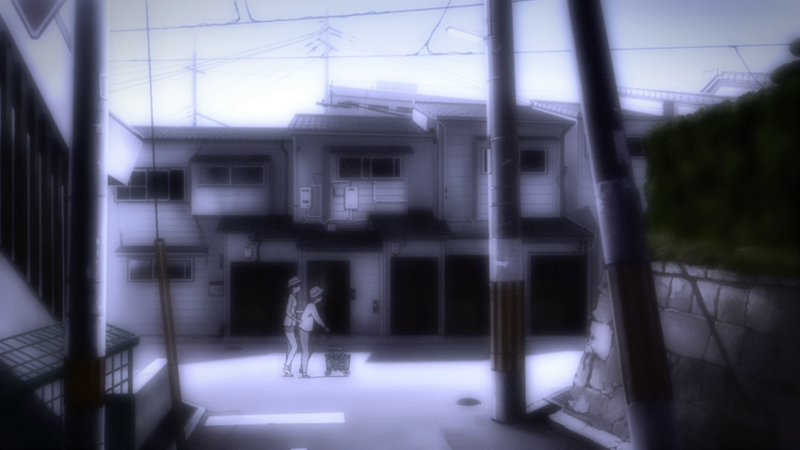 Ushio walking down the street. 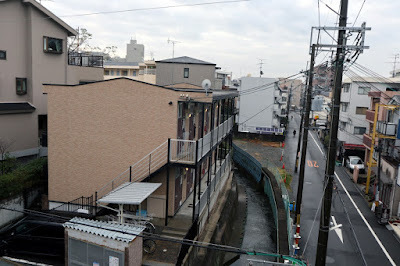 The apartment building is on the left in the picture. The parking lot that was here has been removed. The overpass isn't shown in the anime. 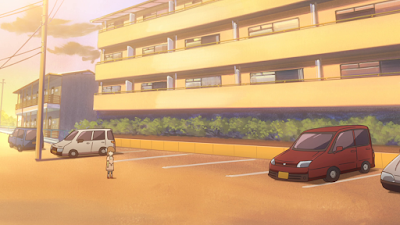 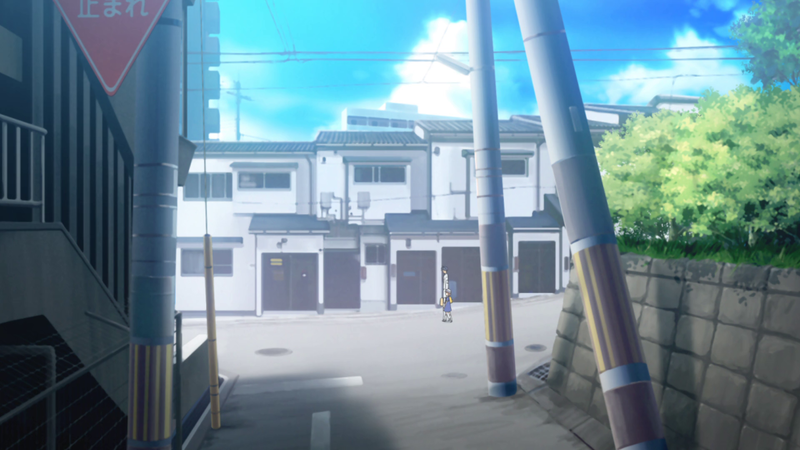 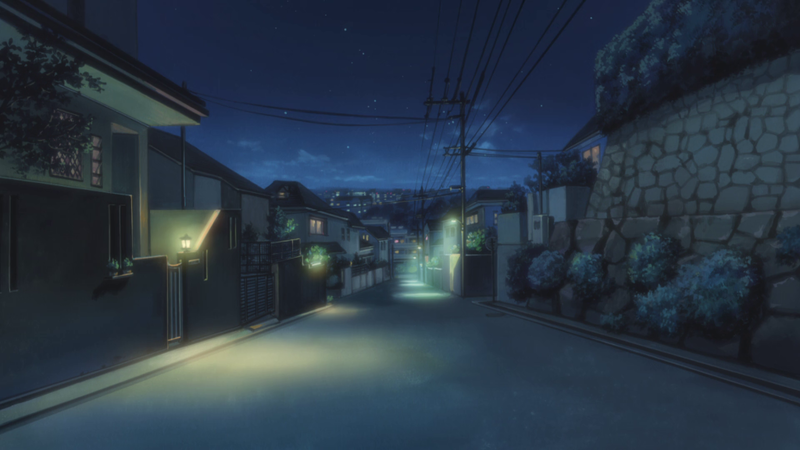 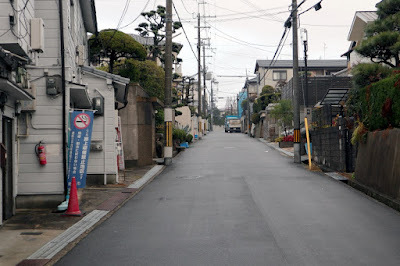 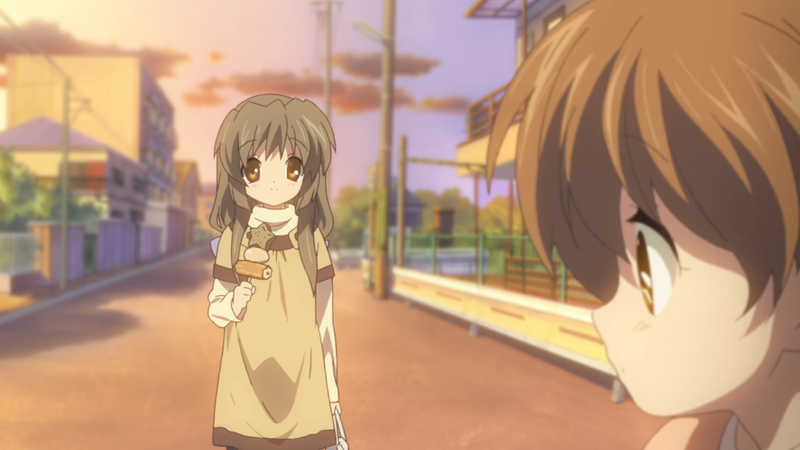 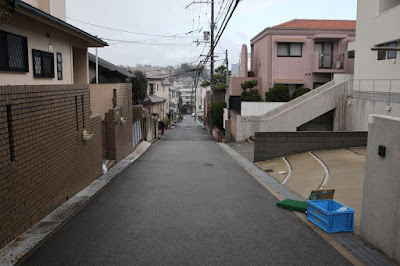 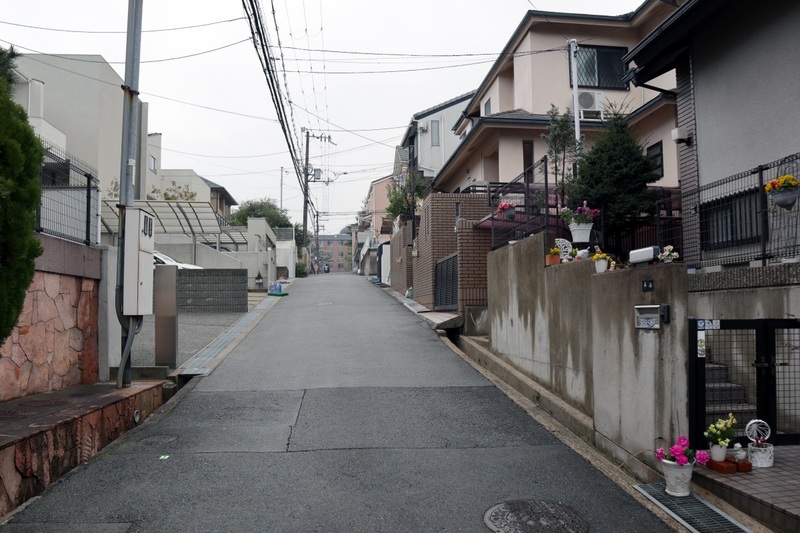 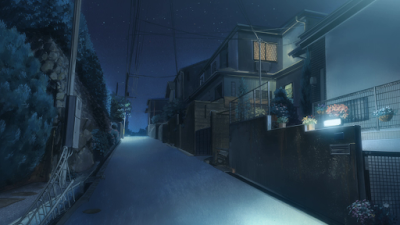 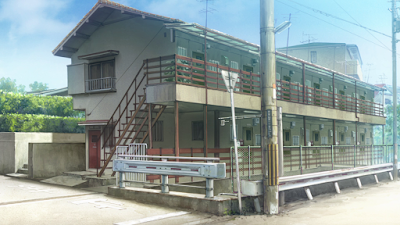 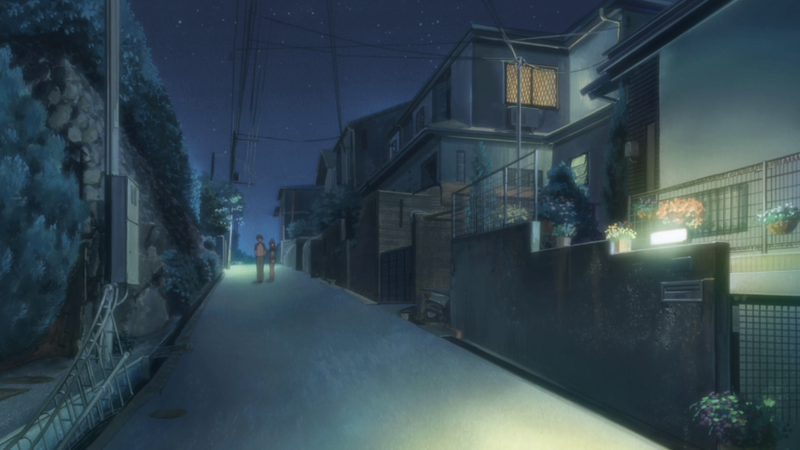 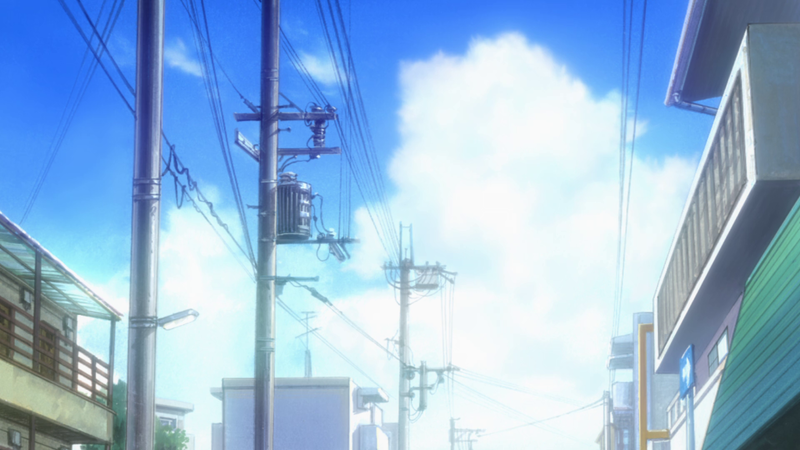 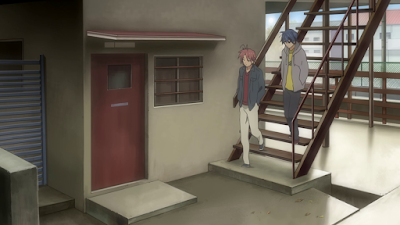 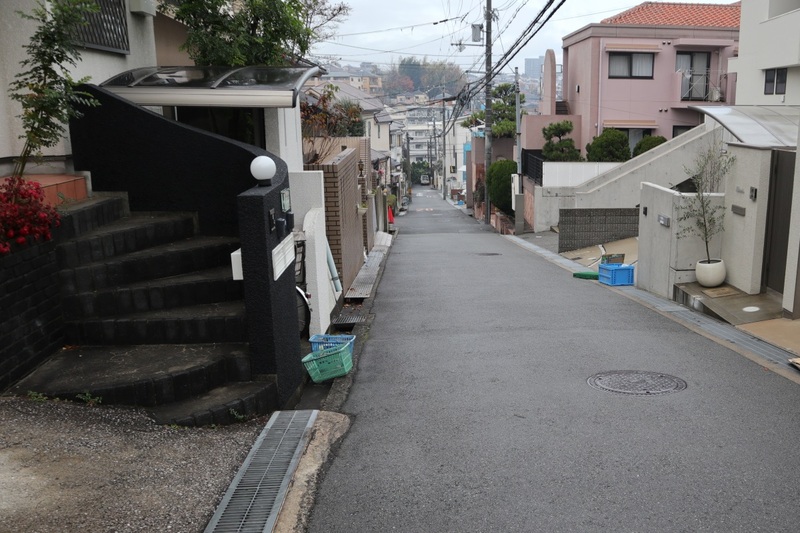 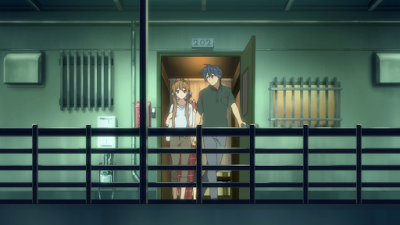 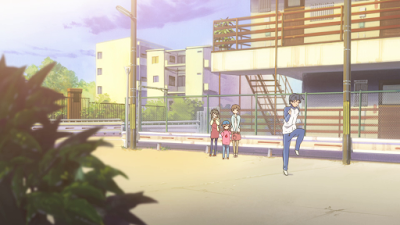 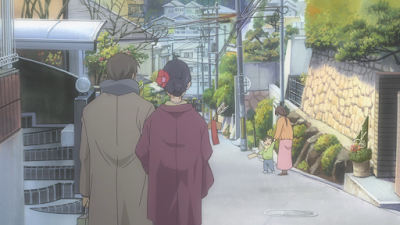 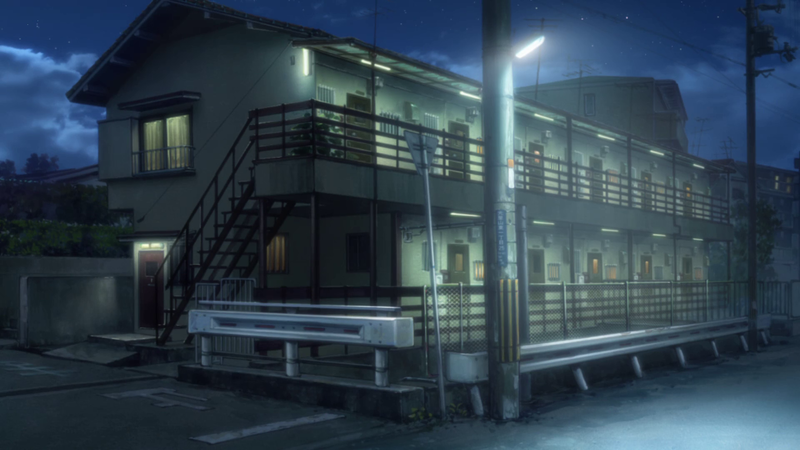 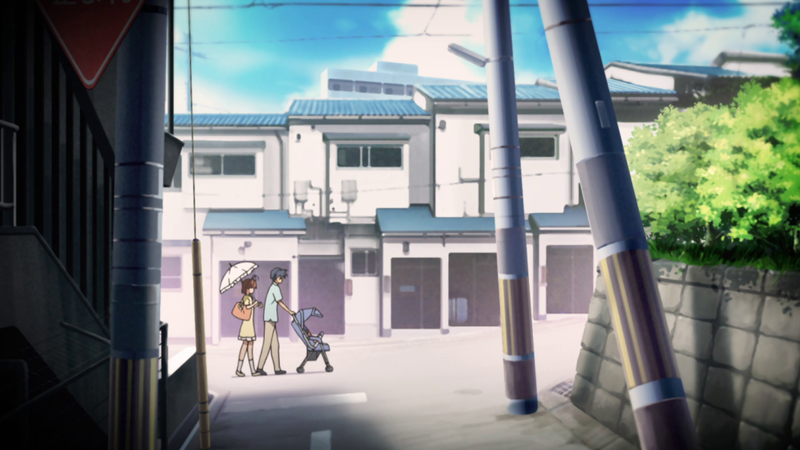 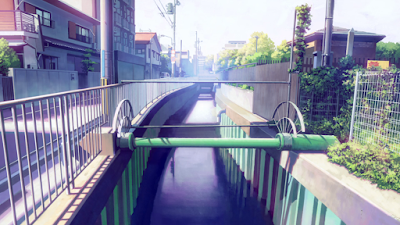 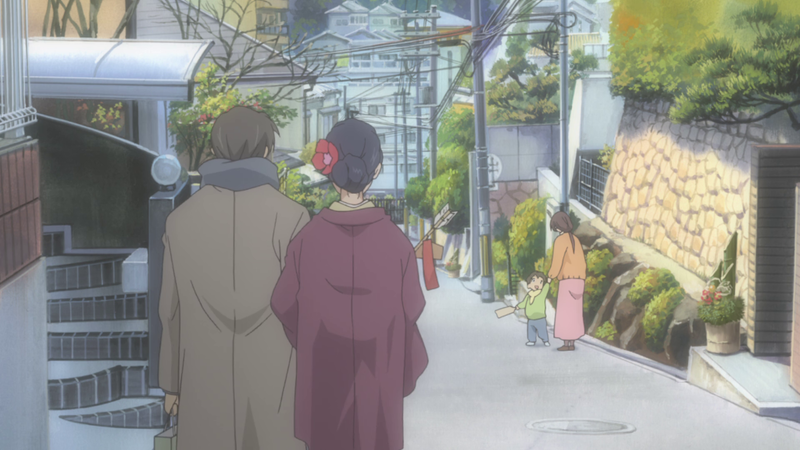 You'll get to this place where Tomoya and Ushio is seen walking in the anime. This side street facing towards the buildings seen to the left in the previous picture is shown in several episodes. 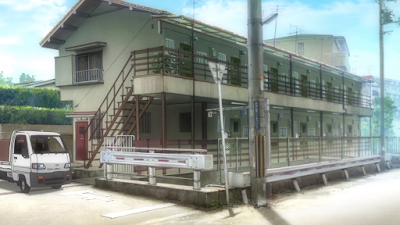 To the east of the apartment building location is also this street that's shown several times in the show. 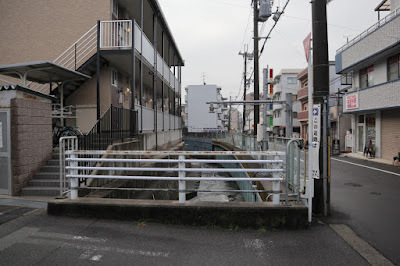 Reverse view. 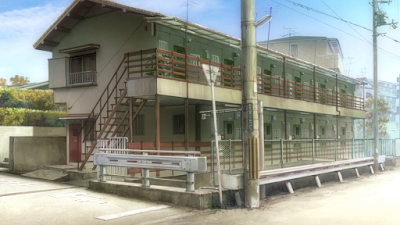 The buildings on the left still matches, but the ones on the right have changed. 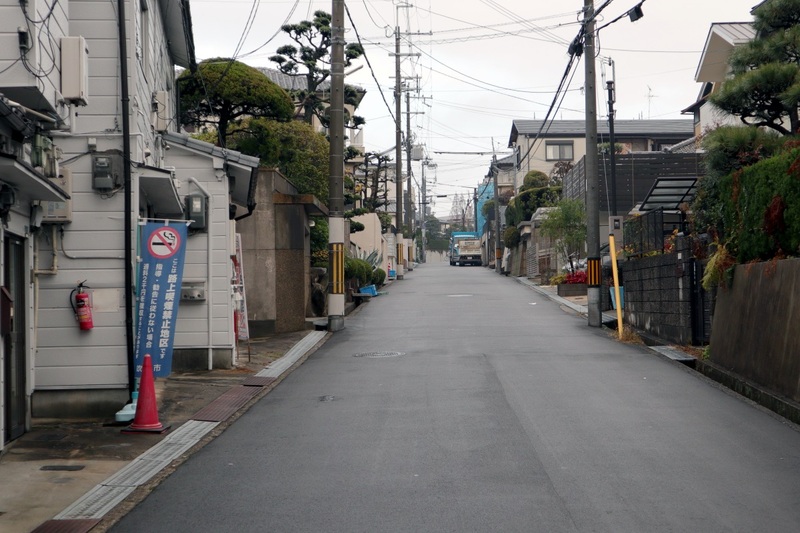 The same street is also shown in a later episode. 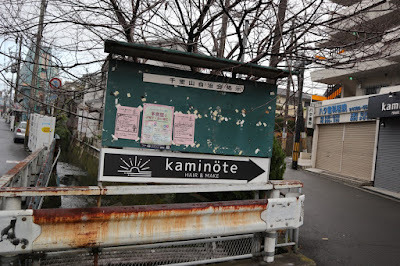 I've marked a path from the apartment location, past the billboard and the side street, ending up here in the map below. This location was visited on 2018/12/17.